The Defender Emirates Team New Zealand has suggested that the 36th America’s Cup could see teams turned away as there are more potential applicants than berths. CEO Grant Dalton recently told The New Zealand Herald that discussions are already underway with ten teams even though applications cannot be officially submitted until January 1. 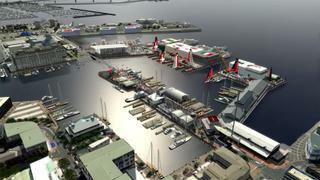 However, the Auckland waterfront site only has enough room for eight teams. "We can only create eight bases, including one for ourselves,” he said. “You could say it's a nice problem to have if there are more teams, but I actually don't know where they'd go." Dalton admitted that hosting seven additional teams would pose a logistical challenge for the city, with the need to accommodate an estimated 250 team members per entry. Any latecomers would be expect to find their own base, he added. Teams hoping to challenge for the Auld Mug in 2021 will be required to pay an initial NZD$1million (roughly £520,000) entry fee, with a further NZD$1million due before November 30, 2018. 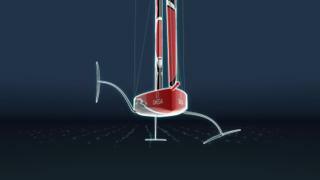 Likely entrants include the Challenger of Record Luna Rossa Challenge, Sir Ben Ainslie’s British team Land Rover BAR, the New York Yacht Club’s Bella Mente Quantum Racing and a second Italian team Adelasia of Torres. Former Oracle Team USA tactician Tom Slingsby recently added his voice to that of Jimmy Spithill in calling for an Australian syndicate to be put forward. He warned that time is of the essence as top Australian sailing talent is likely to get quickly snapped up by rival teams.